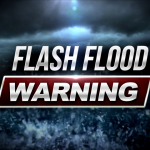 The National Weather Service in Blacksburg has issued a Flash Flood Warning for Roanoke County and the cities of Salem and Roanoke until 1:00 AM EDT Friday. At 659 PM EDT, Doppler radar indicated a cluster of thunderstorms producing very heavy rain moving northwest into Roanoke County. Flash flooding is expected to begin shortly, since heavy rain in an urban area that has received abundant rainfall during the past 24 hours will result in rapid runoff and water rises along area streams and creeks, and in areas of poor drainage. Some locations that will experience flooding include Roanoke, Salem, Vinton, Catawba and Bent Mountain This includes The following locations: The Salem Fairgrounds and Roanoke Regional Airport. PRECAUTIONARY/PREPAREDNESS ACTIONS: Turn around, don`t drown when encountering flooded roads. Most flood deaths occur in vehicles. Be especially cautious at night when it is harder to recognize the dangers of flooding.